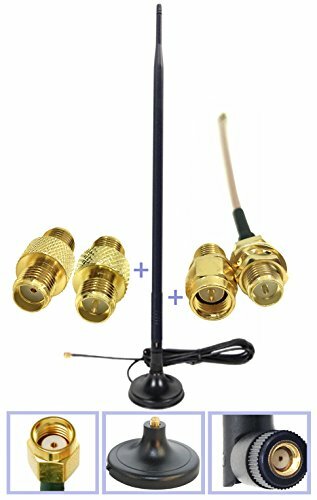 This Wi-Fi Dual Band Omni-directional long range Antenna kit will significantly increase the range and strength of your Wi-Fi signal. Our Omni-directional antenna is a direct replacement for the antenna that comes standard with your router, access point, VOIP device, or PCI card. This antenna is STRONGER then the less powerful booster antennas offered by major manufacturers. INSTALLATION IS VERY EASY - just twist off the factory antenna and twist on our Booster Antenna and you'll experience an instant jump in. Our Wi-Fi Antenna will WORK WITH ANY ROUTER or wireless Network adapter with RP-SMA Female connector.